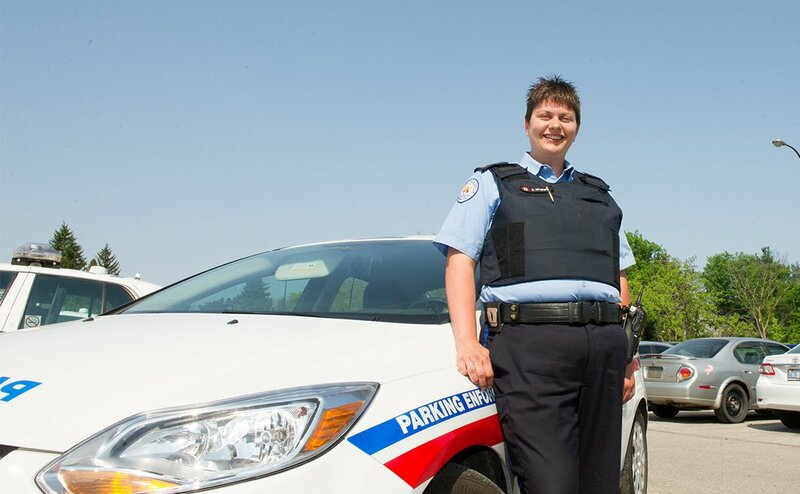 A parking enforcement officer from 12 Division saved a toddler’s life earlier this week. Katherine Bingham was on her way to work at 4:30 in the morning when she spotted a little boy, in only a diaper and T shirt, playing in the middle of Trethewey Dr. The boy had escaped from an open door in the middle of the night. “Trethewey is a windy road, it’s a 40 km/h zone, but people don’t really see people walking across the road, especially at 4:30 in the morning, I just saw him and took him off the road,” said Bingham, knowing she was lucky to spot the boy that Sunday morning. Bingham and police canvassed the neighbourhood and soon found the boy’s home. “I feel good, I’m really happy that he was found and that he was okay and I was at the right place at the right time,” said Bingham, of helping get the young boy home safe. Hooray, and many thanks for being a good neighbour (and for sharing the story).